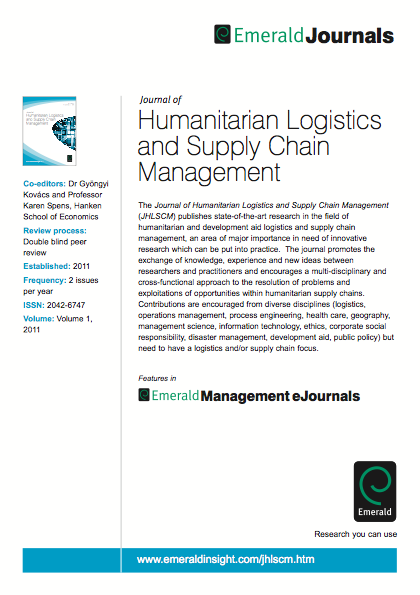 Emerald Group Publishing is delighted to announce the launch of an exciting new journal for 2011: Journal of Humanitarian Logistics and Supply Chain Management. 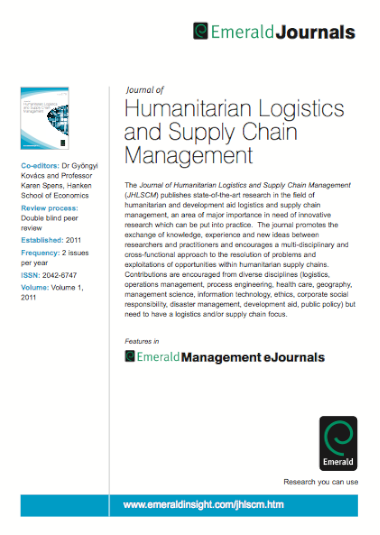 Co-edited by Dr. Gyöngyi Kovács and Professor Karen Spens, Hanken School of Economics, Finland, the journal will publish state of the art research in the field of humanitarian and development aid logistics and supply chain management. Logistics and supply chain management related articles in the context of disaster relief and development aid are of equal interest to the journal. The journal will publish papers based upon different methodological approaches and submissions utilizing both quantitative and qualitative approaches will therefore be welcomed. The journal will publish a range of different papers including empirical research, a call for research notes and viewpoints from practitioners. 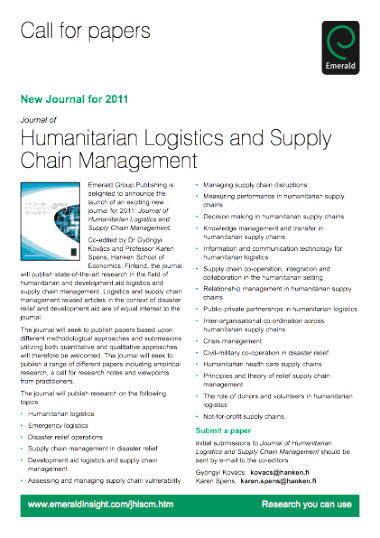 – Non for profit-supply chains.